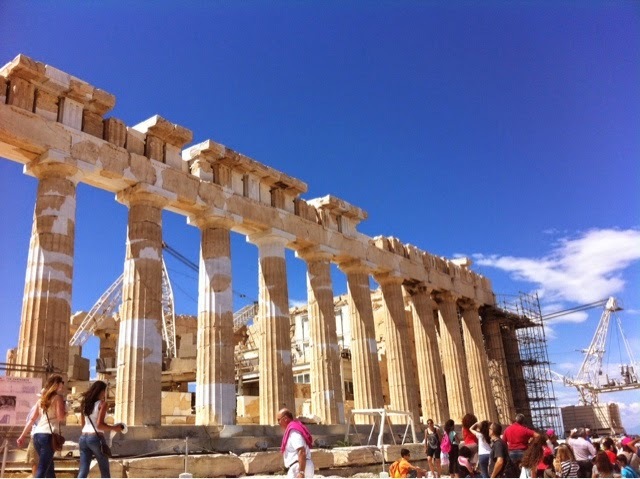 Athens is lovely in spring. It is cooler than in the summer, yet the weather tends to be mostly predictable and mild. It is not as full of tourist than at other times and the light... the light is just the most beautiful thing you will ever behold. 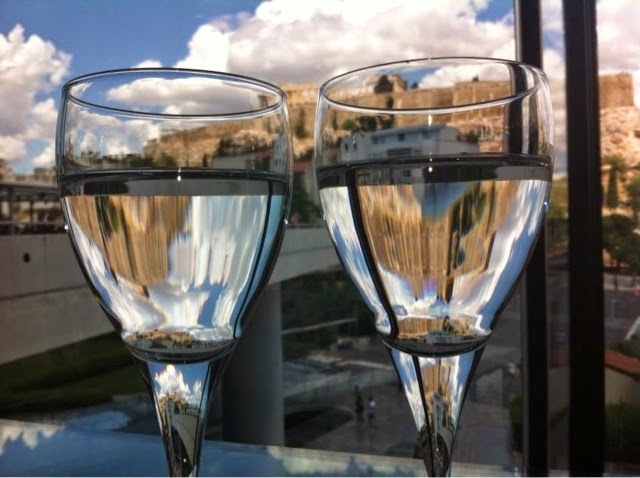 It bathes the buildings with a glow, a freshness, that makes the thousand year old marble look new! We woke up this Sunday, early as ever, and decided we had not been in town for a while. We live about 40 kms from the centre, and so an excursion there is not always possible, depending on traffic and errands. But it was Sunday, the shops were closed (as always on a Sunday) and the roads were quiet. We got in the car and drove in. 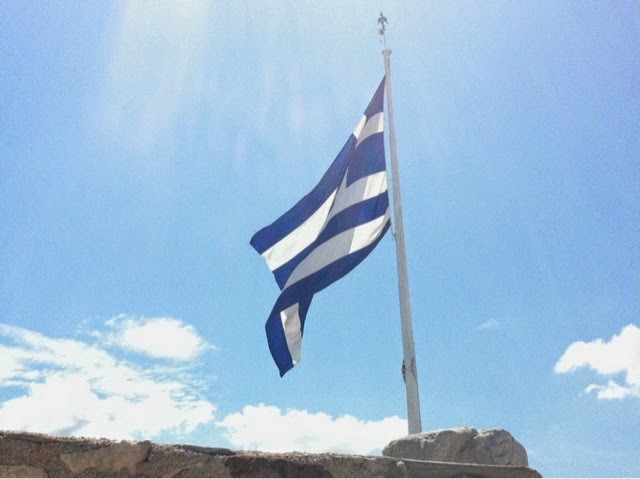 We climed up to the Acropolis rock. It was busy, but worth it. A coold breeze made it all so much more bearable than it is in summer. 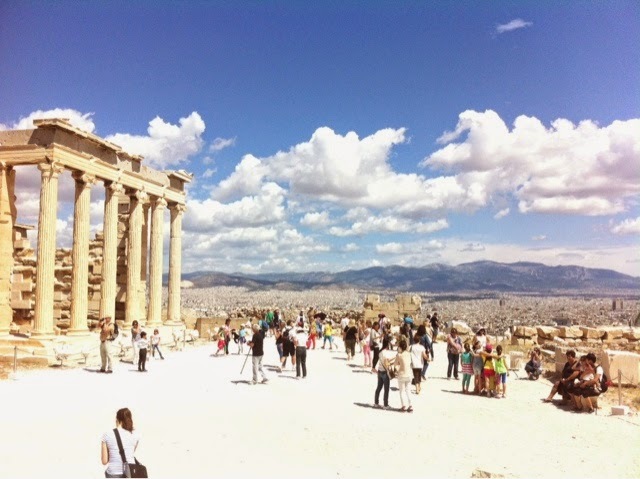 The Erectheion, clouds and Parnitha in the background. 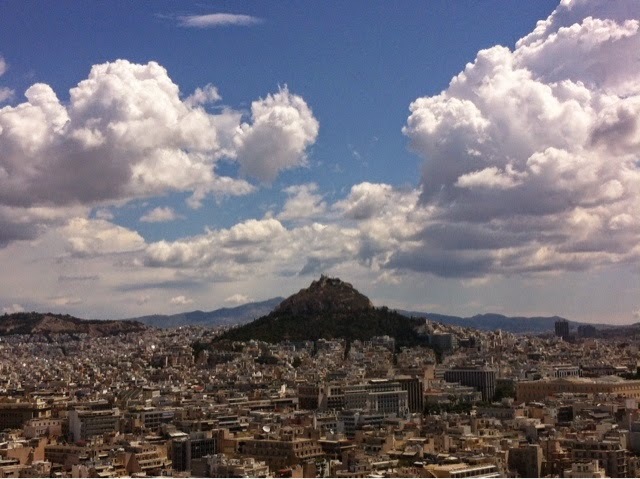 Lycabettus under clouds, and the coral city (as D calls it, all around). 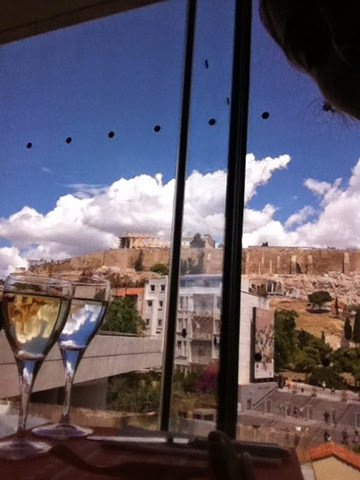 All followed by a yummy (and good value for money) lunch at the Acropolis museum. A nice day to celebrate our first (and unofficial) wedding anniversary. Next week for the "real thing"!